Joined 8 years ago from Mansehra, Khyber Pukhtunkhawa, 21300, Pakistan. I am MA English, from the English Department, University of Peshawar. I have done my University of Cambridge "O" Levels from Army Burn Hall College, Abbottabad, and my "A" Levels (Humanities) from Aitchison College, Lahore. I have taught English at Cadet College, Hasanabdal and at Agha Khan Education Services, Gilgit. I also have LLB degree from the University of Peshawar, and I have practiced law at sessions court level, at Mansehra, for eight long years. I have been writing for the web for the last 11 years. Some months ago, I discontinued writing because of a family emergency, but now, I have started writing again. I blog, ghost blog, and write unique web content ( articles and features). I also do proof reading, copy writing and editorial stints, plus I have experience at seo writing, as well. In addition, I have done academic writing, for academia-research.com and a couple of other sites. Presently, I am gearing up to teach an online philosophy class about Sartre's existentialism at educabilia.com. 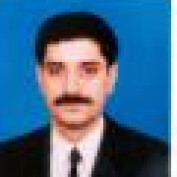 My portfolio can be viewed at: http://iftikhartariqkhanzada.contently.com. There might be some typing errors in some of my clips, those I will rectify, as soon as is possible, otherwise, my presented content is okay. Here, I would beg leave, and let my work speak for itself. I am confident you would like the variety of my topics and the diversity of my styles. Wish you happy browsing. Adieu!